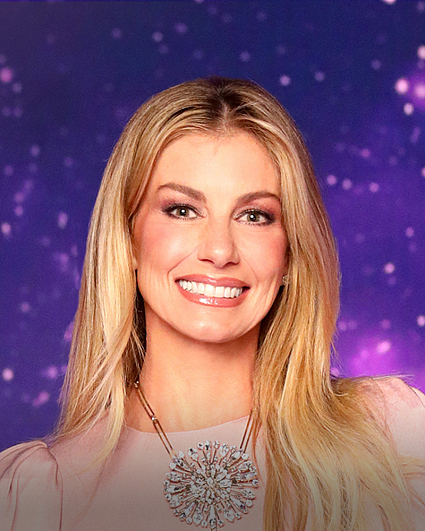 Faith Hill is one of the top-selling and most awarded female artists of all time with five GRAMMY® Awards, 12 Academy of Country Music Awards, three Country Music Association Awards, four Billboard Music Awards, four American Music Awards, and four People's Choice Awards. She has consistently broken chart records with her #1 singles and has had major crossover success with the hits "This Kiss," "Breathe," "The Way You Love Me," "Cry," and "There You'll Be." She has had multiple albums top both the Billboard Top 100 and Country charts simultaneously and, with only seven original studio albums, has sold more than 30 million albums worldwide. Hill has had three network TV specials that garnered top ratings and has appeared and performed on every major award show, including the Academy Awards twice. In 2000 Hill performed the National Anthem to a global audience of over 88.5 million viewers at Super Bowl XXXIV in Atlanta, and is the only country artist (and one of only three artists ever) to perform both "The Star-Spangled Banner" and "God Bless America" at Super Bowls. In November 2017, Hill along with her husband, Tim McGraw, released a joint album, The Rest of Our Life, which debuted at #1 on the Billboard Top Country Albums chart and #2 on the Billboard 200 Albums chart. Recently, Hill and McGraw wrapped the latest installment of the award-winning Soul2Soul franchise, "Soul2Soul The World Tour 2018." Currently, Hill is an executive producer of the Emmy-nominated daytime talk show Pickler & Ben, which began its second season in September. Hill's birthday is Sept. 21. Follow her on Twitter @FaithHill and Instagram @faithhill.